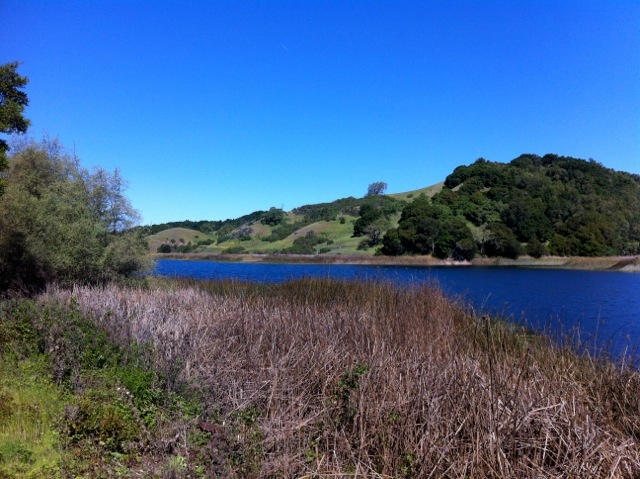 Highlights: The Bear Creek Trail traverses the south side of Briones Reservoir. It is an outstanding trail that’s forested, has beautiful water views, and minimal climbing to contend with. 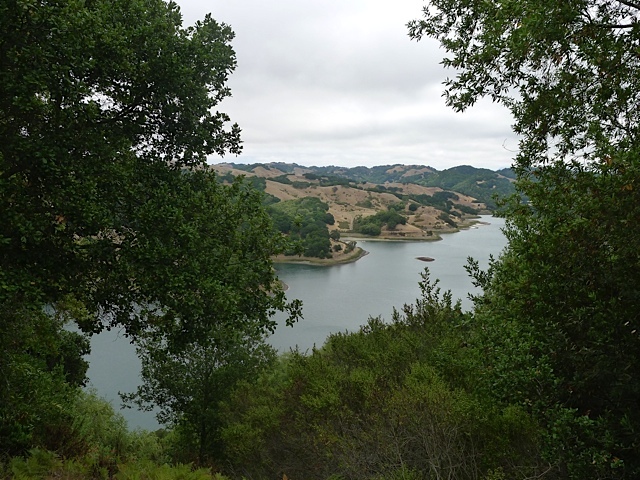 You can start on the Briones Dam side or the Briones Creek side and hike as far as you’d like and turn around. Directions to Briones Overlook Trailhead (from Orinda): From Orinda take Camino Pablo north towards San Pablo Dam Road. 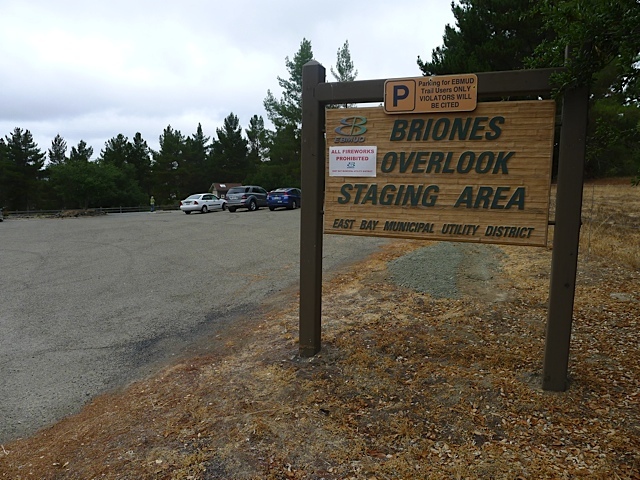 Take a right on Bear Creek Road and go a couple miles to the Briones Overlook Staging Area (on the left). The trailhead is on the northwest corner of the parking lot. Directions to Bear Creek Trailhead (from Lafayette): From Lafayette take Happy Valley Road up over the hill to Bear Creek Road. Take a right and then a quick left into the Bear Creek Staging Area. This staging area is on the opposite side of the road from the entrance to Briones Regional Park. The trailhead is on the creek side of the parking lot. Special Notes: There’s a lot of poison oak here, although the trail is well-used and generally clear. 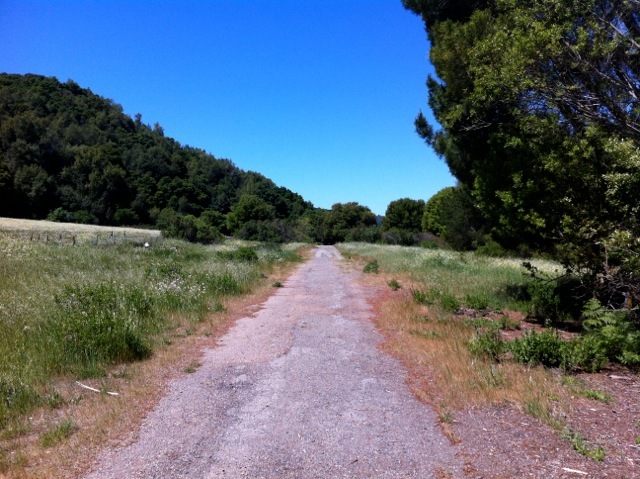 This is really one of the best trails in the Lamorinda area. You can start on either end and turn around whenever you feel like it. I typically hike about 45 minutes before turning back. There is a high point with two benches that also makes a good turnaround spot. The other option is to use two cars and leave a car at the end you’re hiking towards. Then you can complete the entire trail. 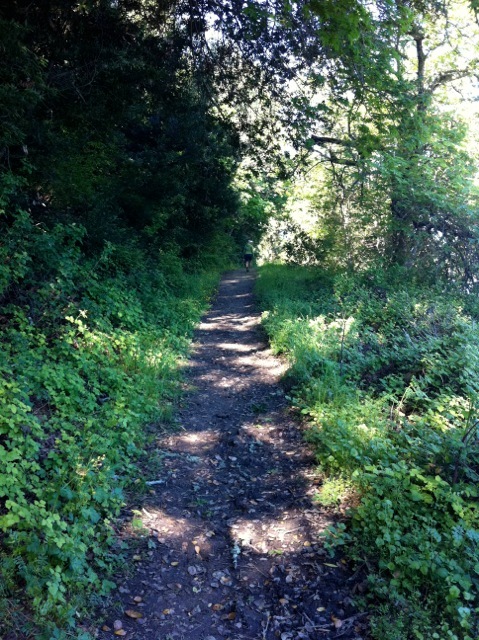 The trail runs between Bear Creek Road and the Briones Reservoir, along the southern slopes of the Reservoir. The south side is much more wooded (mostly Bay Laurel) than the north side that has scattered oak trees. 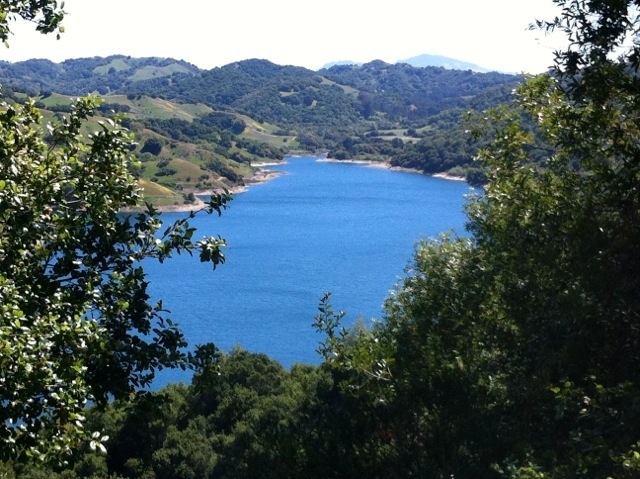 Along the way there are many great views of the Briones Reservoir. Enter the gate on the left, cross the creek, and then you’ll arrive at an old unused paved road. Take a right and follow the straight road/path towards the reservoir. The open area is an old tree farm. A dirt fire road follows the shoreline and then begins to climb and changes into a singletrack trail. After about 1.7 miles you’ll reach a service road. 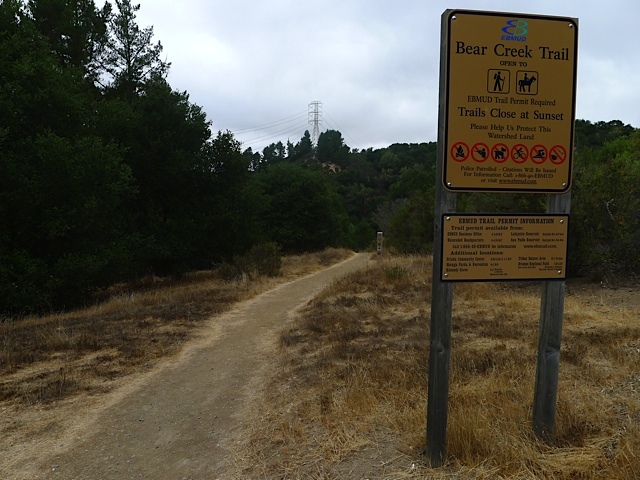 Look for posts with directional arrows that show how to stay on the Bear Creek Trail. Soon you’ll crest at a high point with two benches. This is a great spot for a picnic/snack before turning around. 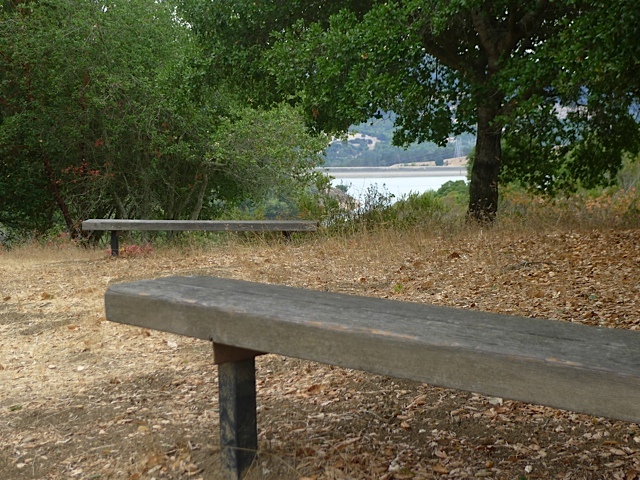 If you continue you’ll begin to go gradually down towards the Briones Overlook staging area – near the dam. Enter the gate on the northwest side. You’ll begin to gradually climb and wind along the slopes of the reservoir with views out towards the dam. 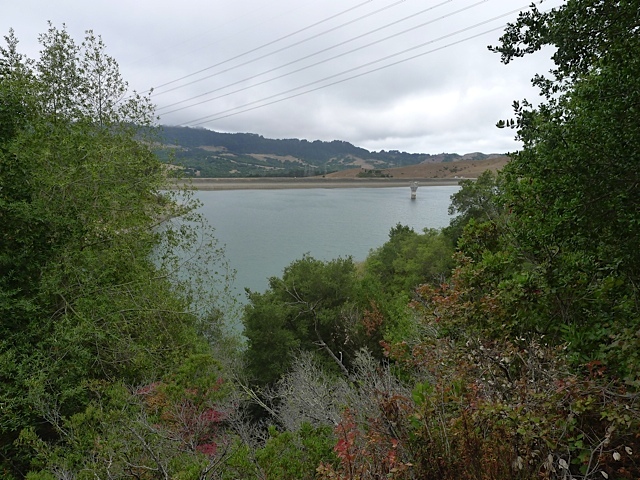 Briones Dam is an earthen dam that was completed in 1964. It is the largest of EBMUD’s five East Bay terminal reservoirs with a total capacity of 60,510 acre·ft (74,640,000 m3). 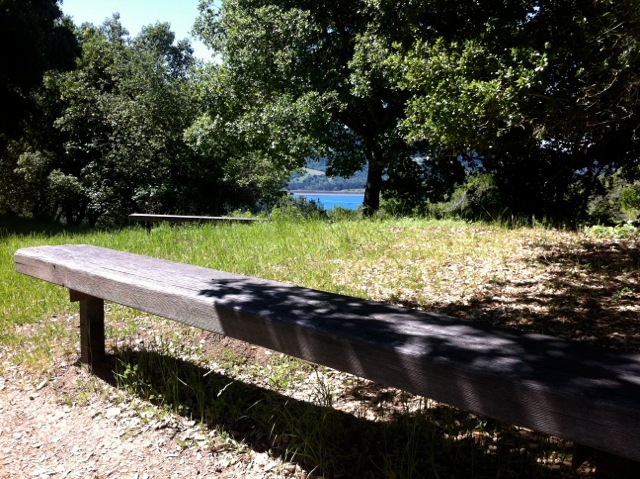 After about 30-40 minutes you’ll reach a high point with two benches that make for a good spot to have a snack and possibly turn around. 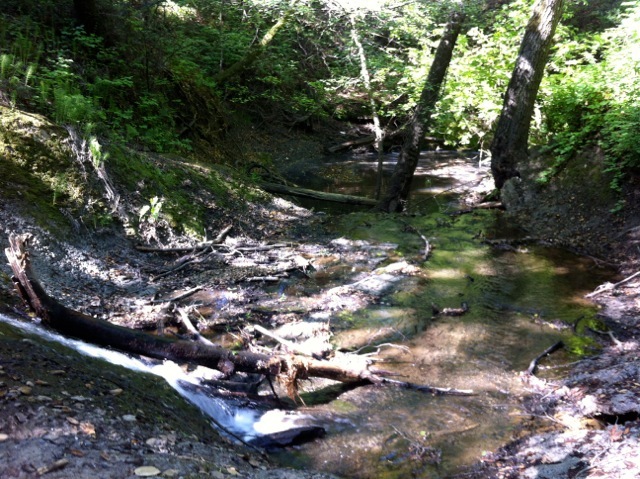 After this point you will gradually begin to descend towards Bear Creek at the far end of the reservoir. The map below shows a hike that went about 45 minutes from the staging area before turning around. 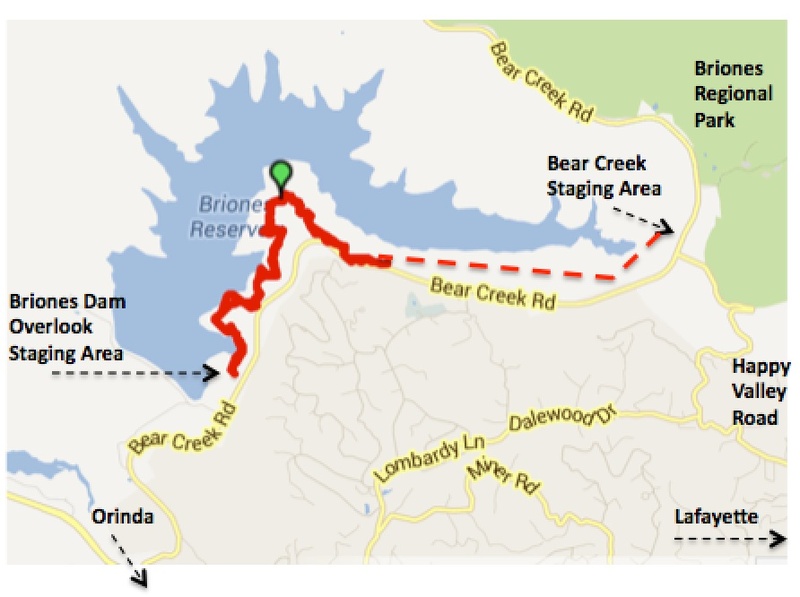 Map of Bear Creek Trail – red line shows hiking for 45 minutes from Briones Dam side of trail.